Sewing the strips of fabric you can make a very nice textured piece to decorate and with it you can make several decorative projects for your house, like cushions. 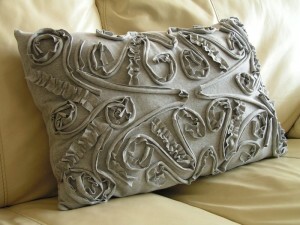 If you already have fabric cushions you can also decorate them. 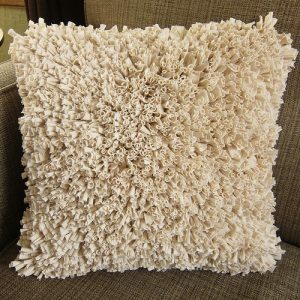 Today you’ll see several ideas to make cushions or decorate them using fabric and without any crochet involved. 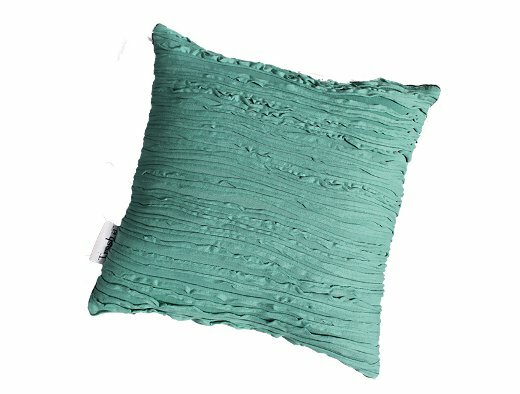 This pajaladesign’s cushion cover is a sample of the simple and beautiful cushions that are achieved by decorating them with strips of fabrics. Depending on the length and the thickness of the strips of fabric you can make a loose, very warm fringe model or the fringed cushion that you’ll see later. 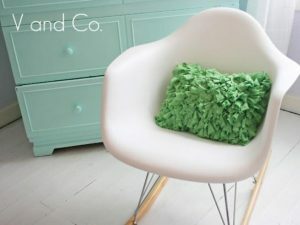 If you have simple fabric cushions at home and want to decorate them, you can always embroider them with fabric; and make them flowers and other decorations. 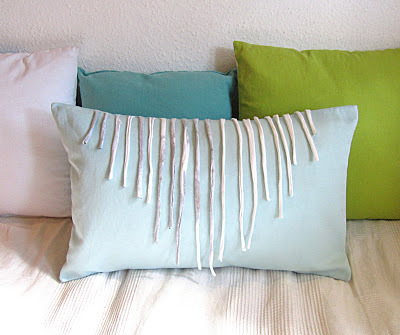 If you want to make the model with fringes you’ll have to make the cushion from the beginning because the strips of fabric go inside the seams. 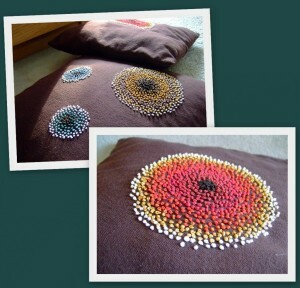 You can apply different techniques to decorate cushions: braids, crochet, with fun animal shapes, etc. This entry was posted in Ideas and tagged crafts with recycled fabric, curtains, How to make non-knitted fabric cushions, ideas on June 22, 2018 by Sue.